The turret and the upper hull will come in two versions, one in transparent and one in solid colour. Below is the full information. inner wall, each 105 links toothed and flat tracks. Panzer Abteilung FHH, Hungary, January-February, 1945. Summary: Panzerkampfwagen VI " Tiger II" Ausf.B (Sd.Kfz. 182) with production (Henschel design) turret show appearance of the tank Production Period July to Oct. in 1944. This is a Limited Edition. 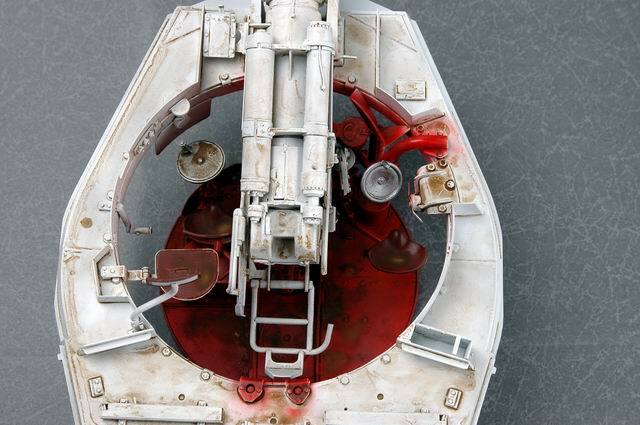 The model contains each two sets of upper hull part, lower turret part, upper turret part and the inner turret wall, they are moulded both in clear parts and grey parts, so you can select to build this huge	model with clear version to show the full interior details. Interior hull is divided into four compartments, driving, fighting, engine and transmission. The fighting compartment is situated in the middle part of the tank inside the turret. Accurately designed transmission and steering brake. Correctly detailed numerous flexible rubber engine cooling duct. A two-piece 88mm gun designed specifically for Henschel's turret. Completely gun cradle for 88mm KwK43 L/71. 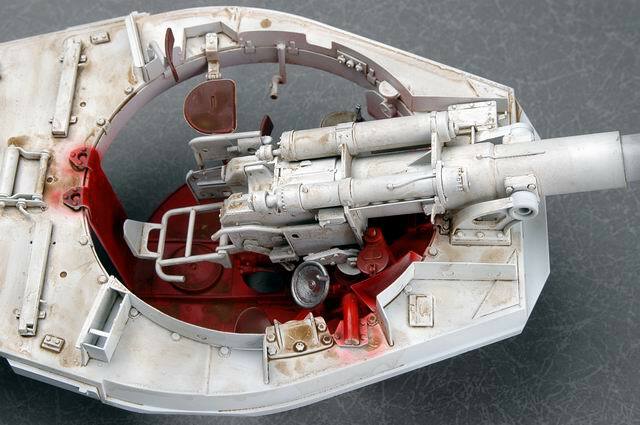 Slide-moulded gun mantle w/extreme detail. Late type muzzles provided . Slide molded one piece upper turret accurately shaped for ease assembly. Upper turret inner side walls in extreme detail w/separate parts . Cupola hatch can be assembled open/closed. Loader's hatch can be assembled open/closed with interior metal tube/ actuating rod. Rear turret hatch with cover can be modeled open/ closed. rounds stored along the hull sides and a fraction of stored in the rear of the turret. The turret could be traversed 360 degrees. Hull inner side walls in extreme detail w/separate parts . Slide-moulded swing arms with torsion bars assembly holes. Torsion bars and suspension armored covers come as separate parts. Late type side fenders w/pattern detail on both top and bottom surface. Exhaust pipe w/photo-etched parts for great detail. Slide-molded towing eye brackets in extreme detail w/separate parts. Suspension is made up of nine sets of overlapping 800mm steel road wheels per side. Metal-cast drive sprocket wheel in Late type with authentic detail. Metal-cast Idler wheel exhibit maximum detail w/separate armored covers. tracks, they can be joined by 400 shafts, and accurately lined up and sagged the result of link's weight. Of course are the workable track links and the material is ABS plastic in burnt iron color. Photo-etched engine deck grills and engine grills.